All parties should send an e-mail stating their interest in the specific position along with an updated sports resume to the WT Soccer Commissioner, Mike Makofka at wtpresident.soccer@gmail.com and a copy to WT Soccer Secretary, Terri Fasolini at fazz19991@gmail.com. We are looking to fill these positions as soon as possible. 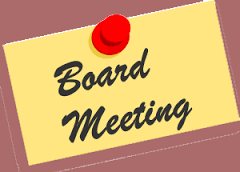 Interested applicants should also plan to attend the next scheduled Soccer Advisory Board meeting, held at the WT Senior Center on the first Tuesdays of every month at 8pm.